With the month coming to an end and with a new month beginning, I decided to make an old favourite of mine. For those that aren’t aware of what onigiri is, it is essentially Japanese rice balls with a filling on the inside with a piece of seaweed on the outside. Traditionally, onigiri can be eaten plain with the rice being seasoned by light salt or it can be filled with picked plums. However, as time change there has been more and more different times of fillings such as salmon with mayo, etc. One of the most common misconception out there is that onigiri is another form of sushi but I can assure you that there are some distinctions. A key point would be the rice being used, in comparison to sushi, Japanese rice balls are made with plain rice without the rice vinegar. 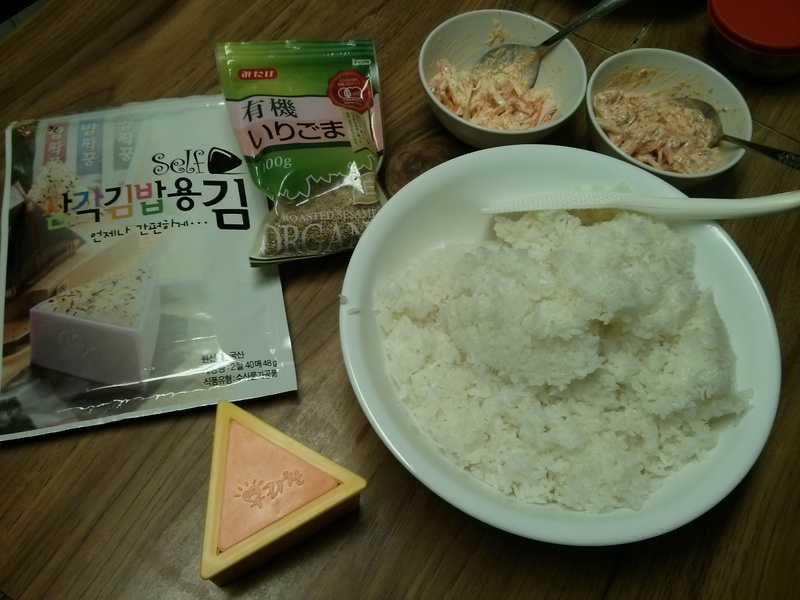 I find onigiri to be a nice alternative to sandwiches because unlike sandwiches that gets soggy quickly. 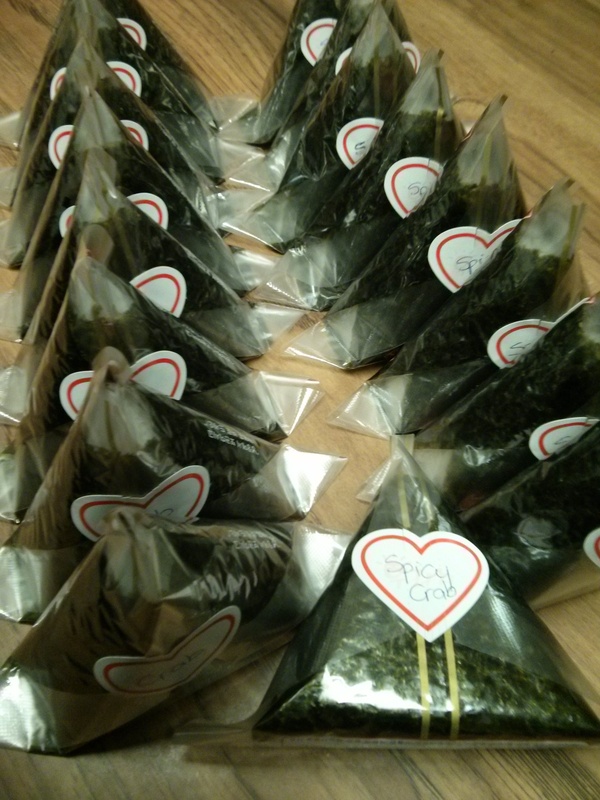 Onigiri has seaweed wrappers available allowing you to keep the seaweed away from the rice before eating thus nothing gets soggy. When it comes to making the filling, I am a non-traditionalist so I like to use crab sticks mixed in kewpie mayo with some masago in it. 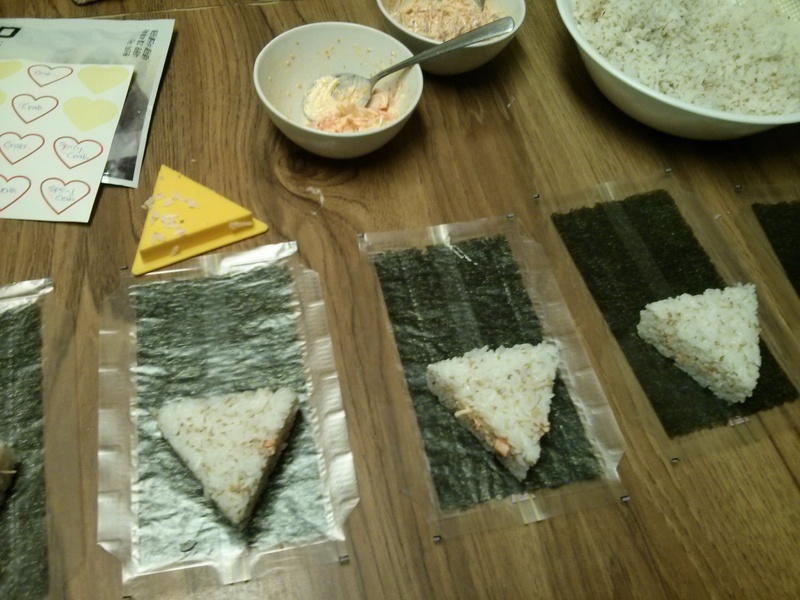 Since I rarely just make oniguri for myself, I like to make spicy and non-spicy onigiris. How do I make spicy onigiris? I like to add chilli garlic sauce into the mayo instead of sriracha because I find that it gives you more of a kick. Categories: Food & Sweets | Tags: Comfort Food, Crab Meat, Japanese Food, Onigiri, Rice Balls | Permalink. Despite the fact that Toronto is a relatively young city in comparison to other major metropolitan cities such as London, it also posses its own share of architecture gems. 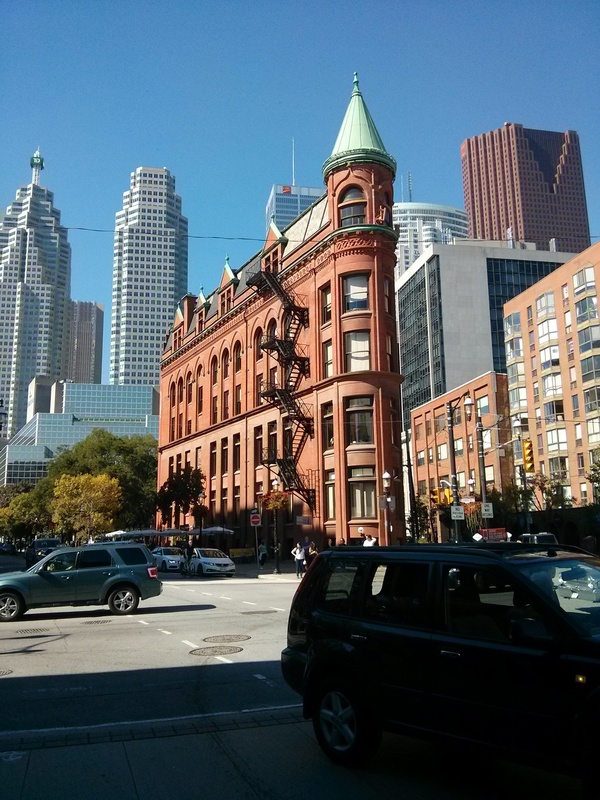 One of my all time favourite buildings is the Gooderham Building located near St. Lawrence Market. This building was completed in the late 1800s and while everything around it has modernized I am happy that this building has stood the test of time. There is a sense of allure, style and sophistication associated with this building. Several years ago I had the pleasure to tour this building due to Doors Open Toronto and I was in awe of the Otis elevator that was still being operated manually as well as the narrow stair cases. 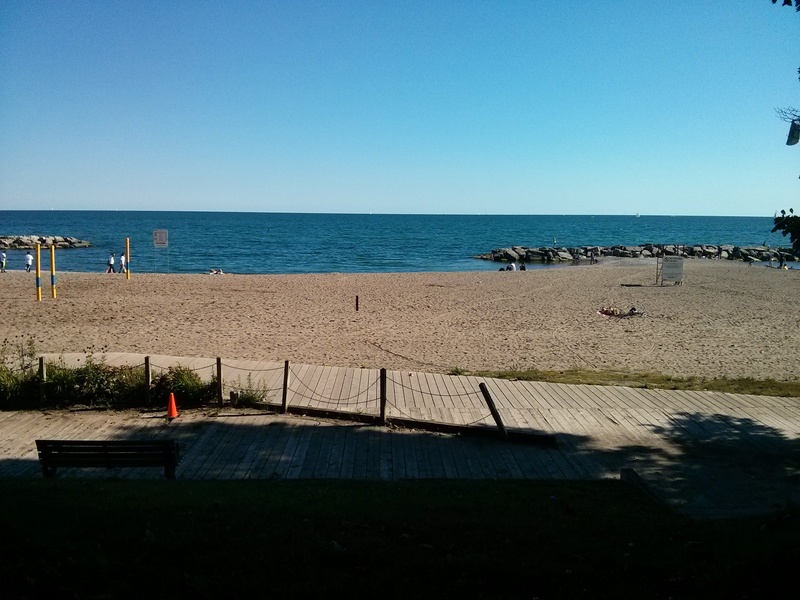 If you are ever in Toronto, please check this building out! Categories: Toronto Sites & Sounds | Tags: Architecture, Flatiron, Gooderham Building, Ontario, Toronto | Permalink. 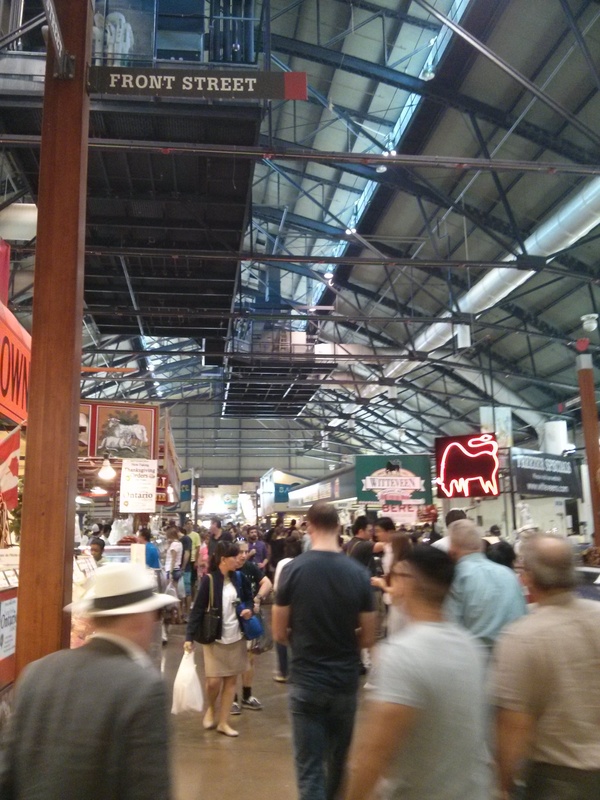 Since I am a foodie at heart, there is no better place to start a Saturday than to visit the St. Lawrence Market. The market is practically a one stop shop for anything food related. One of the things that I love about the St. Lawrence Market is that they have an assortment of imported and specialized goods that you would normally not find in your local grocery store (ex. fresh yeast). In addition to shopping for fresh produce, meat, etc. there are a lot of the shops that sell takeaway meals from pasta to Montréal styled bagels. Categories: Food & Sweets, Toronto Sites & Sounds | Tags: Farmer's Market, Ontario, St. Lawrence Market, Toronto | Permalink. 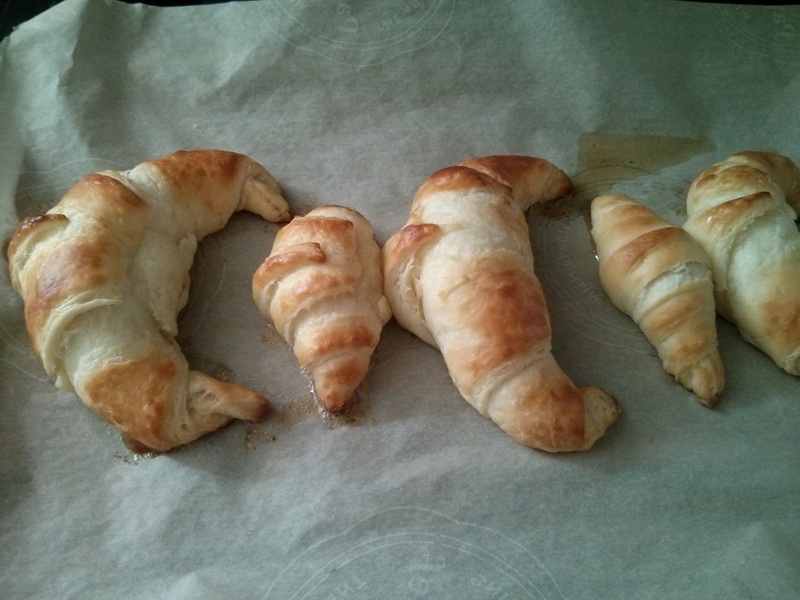 My second attempt at making croissants on my own was a lot smoother and tastier than the first attempt. Aside from the croissants looking more aesthetically pleasing, one of the key changes that I have made was the butter. In my previous post, I had mentioned that I first learned how to make croissants during my trip to France last year and one of my key takeaways from the lesson was difference in butter. After much researching, I was pleased to have found this butter from a little creamery located in Stirling, Ontario. They are the only creamery that I am aware of that makes European style butter. This was a great find especially when you can’t fly to France to get the butter you need. I must say that after trying their Stirling European Style Butter: Churn 84 un-salted, I have noticed that the bread became a lot softer and tastier. It was definitely a lot easier to roll the European styled butter into the dough as it did not break as easily which allowed the croissant dough to take its form. 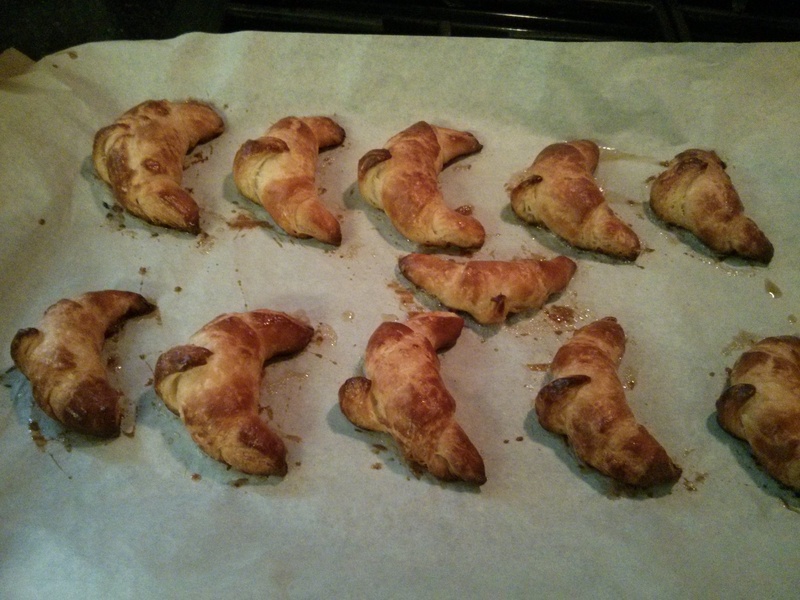 Categories: Food & Sweets | Tags: butter, CooknwithClass, Croissants, France, Paris, Pasteries, Stirling Creamery | Permalink. Since I was already in the spirit with buttery baked goods, I figured why not continue the trend with shortbread cookies? 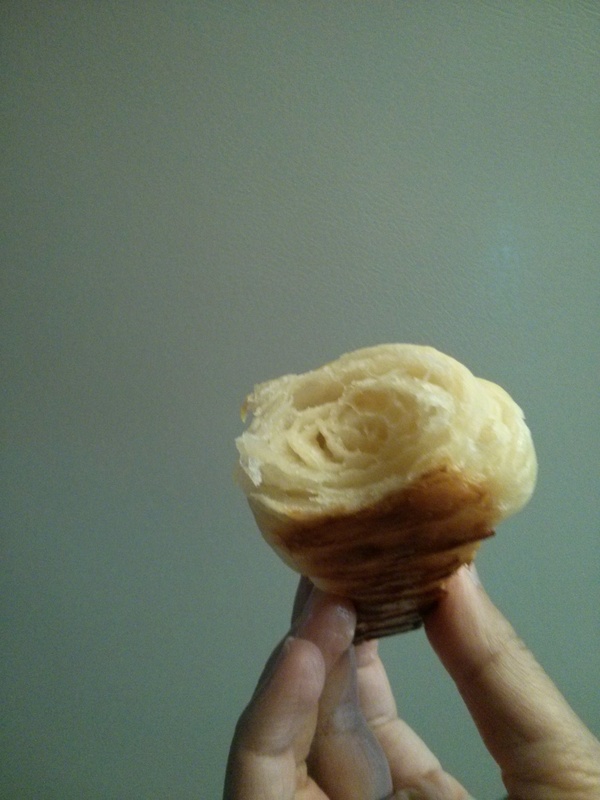 With half a block of butter left in the fridge from my croissant attempt earlier, I decided to put it into good use. One of the things that I like about making shortbread cookies is that it doesn’t require a lot of ingredients namely: salt, flour, vanilla extract, icing sugar and of course butter. 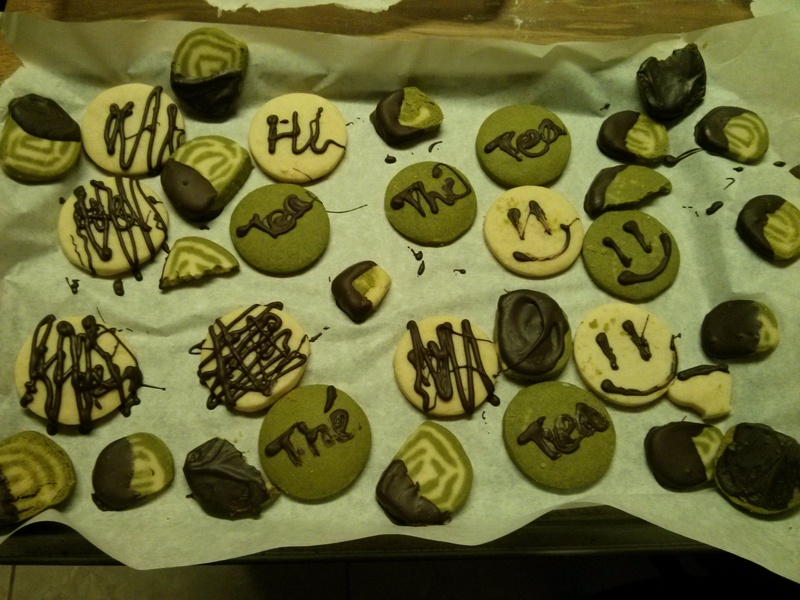 Although it was my first time attempting to make shortbread cookies, I felt a little adventurous and decided to make a green tea (matcha) version as well. 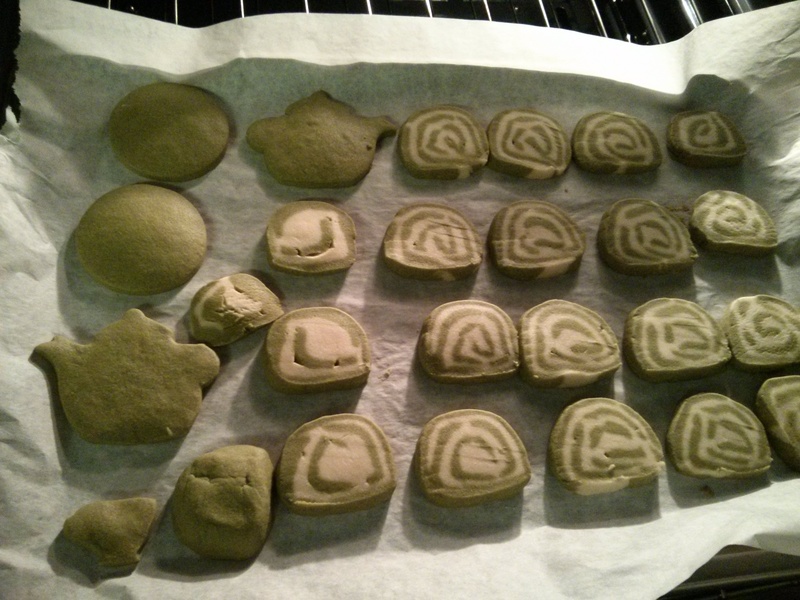 To my surprise, it went butter than expected as I had made full green tea versions and half green tea versions. 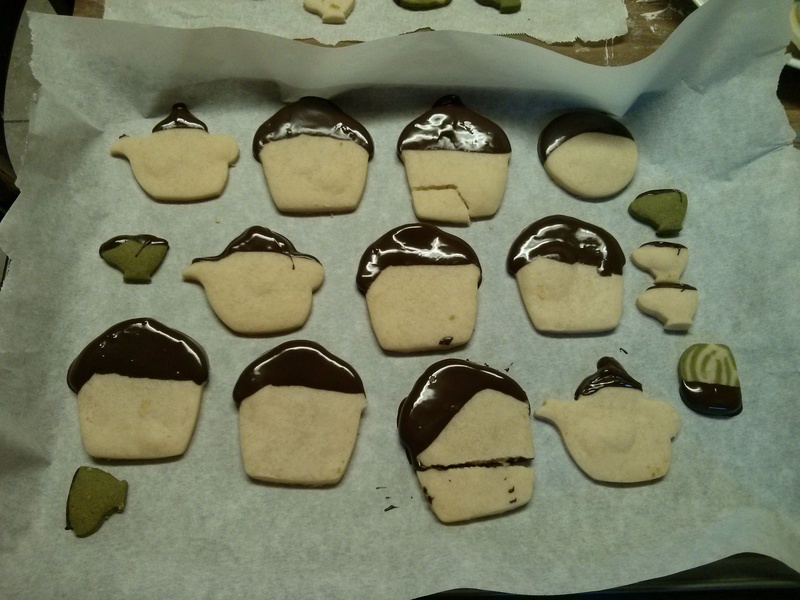 The thing with shortbread cookies is that they belong with tea so why not add a hint of it into the recipe? 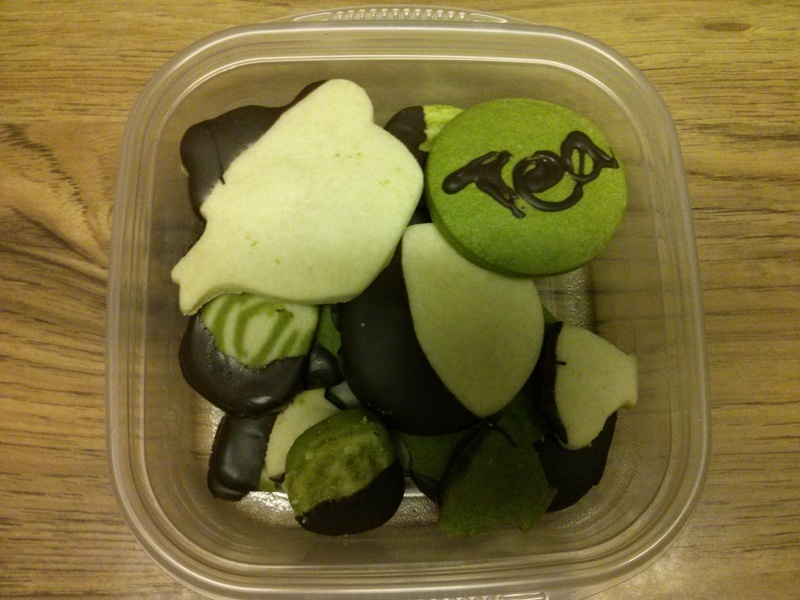 But I must admit, green tea was only the beginning for me as I went and melted some dark chocolate to dip the cookies. I had some casualties along the way which are now in my stomach. 😀 This was my first time dipping anything in chocolate and what I did not account for was that it would cause the cookies to snap so easily. Shortbread in general is delicate so when you are dipping it in chocolate you have to be rather careful as the weight of the chocolate can cause the cookie to snap. The other alternative is to put some chocolate in a sandwich bag to create an impromptu piping bag and create random designs. However, it can get very messy but delicious at the same time. Categories: Food & Sweets | Tags: butter, Dark Chocolate, Fusion, Matcha, Shortbread Cookies | Permalink.